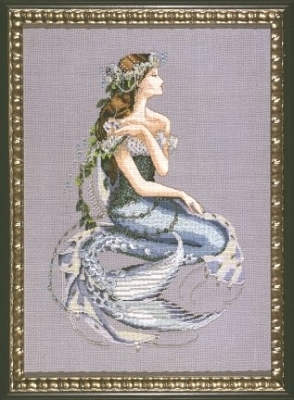 This striking sea nymph comes alive with metallic threads, beads and treasures. It will surely be one of your favorite designs. 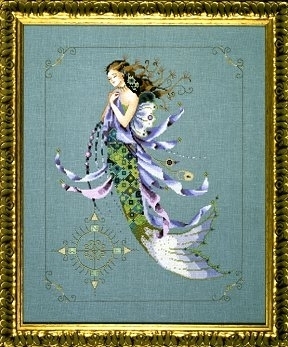 Use the crystal treasures listed or adorn her with any meaningful beads that you feel are worthy of this beautiful mermaid. 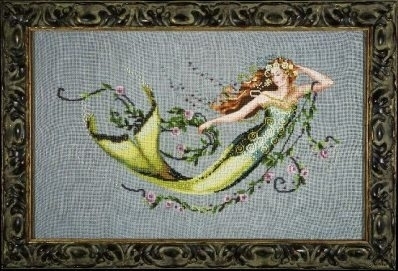 Stitched area is 10 1/2" x 16 1/2" with a stitch count of 168 x 258. Stitched (2 over 2). DMC floss used.